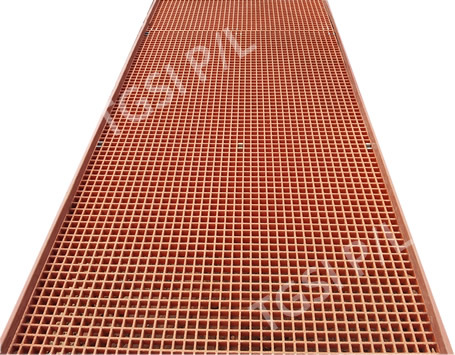 INDUSTRIAL FIBREGLASS REINFORCED POLYMER GRATING PANELS. Minimum order quantity: 20 SQM. 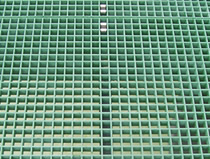 SAFE GRID medium duty (Type B), concave surface. 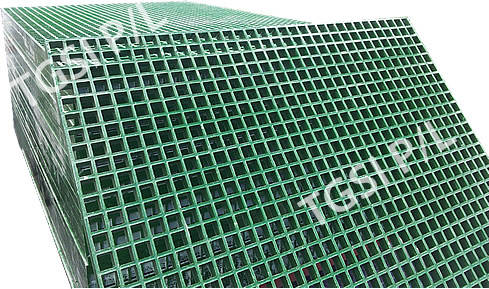 SAFE GRID Heavy Duty (Type C), gritted surface. 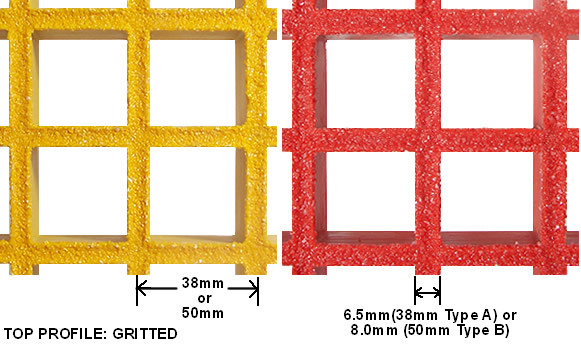 SAFE GRID light duty (Type A), gritted surface. 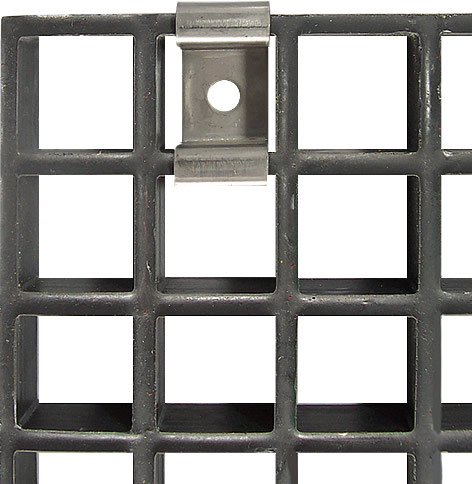 SAFE GRID light duty, concave top profile, with 316 stainless steel clamp fitting.